Made in the dark and icy winter, in honor of all my creative friends, known and as yet unknown to me.. My angel appeared to me at a garage sale, years ago; small and worn and minus a wing, it whispered it’s message of age and authenticity. YES is all that I remember now. The images are solar plate etchings inked by the hand of fate. The poem is by Rainer Maria Rilke. 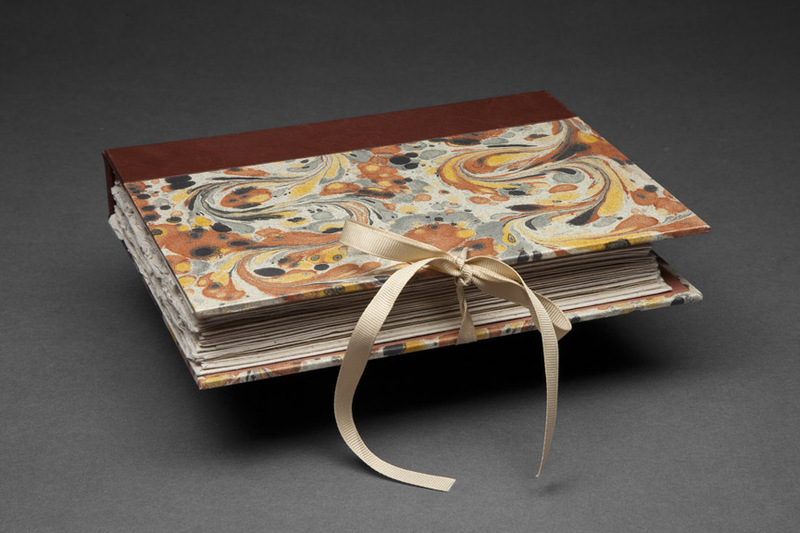 Portfolio cover of antique marbled paper. Accordion fold structure on Cave Paper with original etchings on Rives BFK, tipped in. Printed letterpress. The typeface is Corvinus.